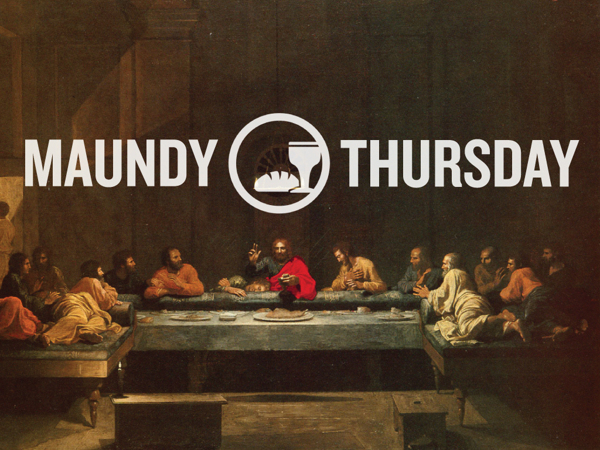 The last Maundy Thursday post I wrote was in 2014. I retold the story of my first foot washing experience. Since that last post, I have not participated in a foot washing ceremony. It has not been by choice, but rather circumstance. The members of my parish did not practice the foot washing ritual but rather the Communion one. The Communion ritual of Maundy Thursday is the communal meal. I’ve experienced the entire spectrum of the Eucharist taken in unison while gathered around the altar, to an elaborate community meal. My parish practiced the former. As a Baptist, we would practice the latter. I always wondered why my Anglican parishioners were hesitant in participating in the foot washing ceremony. The few times I brought it up, I was told “that’s not what we do.” Due to the parish being more “Protestant/Evangelical-leaning” and I, of the Anglo-Catholic persuasion, never tried to force the issue. I suspect that the beloved members of my parish did not feel comfortable in the intimacy that is foot washing. Even when attending one of my favorite parishes (when I’m not on duty) for Maundy Thursday, only 1 person had their feet washed by the Rector as everyone observed from the comfort of their pews. I was beginning to think that it was an American phenomenon. That the intimacy of foot washing was too much for American Christians, despite much of the content of our television shows and movies. That was until I recently read the Maundy Thursday post from my brother priest, Fr. Esau McCaulley. He expressed the importance of the foot washing ceremony and the love of Christ that is embedded in it. He is correct and that is why I am drawn to it. The amount of love, and humility that is shared in that moment. The fact that one has to serve and be served in the same setting is an amazing experience. I value the ritual because without experiencing it back in Mexico in 2004, as the lone Baptist with Roman Catholics, I may not have listened to God calling me to Anglicanism years later. As time goes on, I find that my level toleration for blatant and unapologetic hypocrisy is fading to nothingness. This has become more evident as I watch the reactions of Americans to tragedies that occur outside of our nation. This is coming on the heels of the tragic events in Paris, and more recently Brussels. I want to reiterate that these are indeed tragedies. The lives lost can not be replaced. It is indicative of the sort of evil that permeates our world. However, I can not help but feel slighted. I feel slighted that it seems that these tragedies elicit a response of sorrow, regret, and anger. Whereas the tragedies of Nigeria, and Istanbul receive mediocre coverage. [I had to look deep to find the hyperlinks] Let us not forget the scores of Black and Latinos who are being killed at the hands of fellow Americans daily. I believe it’s a form of hypocrisy to have a response that is so emotional, so heartfelt for a group of people thousands of miles away, but have a negative, angry, and cold response to a group of people a few hundred miles away. Am I sad for the people impacted in Paris and Brussels? Yes. I’m also sad for those who were killed in Nigeria and Istanbul a few days before. Terrorism is terrorism. Whether its brown-skinned “Islamic” extremists in the Middle East, or white-skinned “Christian” extremists in the United States. Whether you are screaming, “death to America” or “Go back to Africa”, you are creating an act of terror. Until we are at a place where we can mourn for the dead, regardless of their skin color, we will always be nothing more than a bunch of racists liars, pawning off our corrupted form of democracy to the rest of the world. Below is a table and link to the Pew Research Center displaying racial diversity in American Christian faith groups. This is from 2014. I’m not confident that it has gotten better. My pessimism is due to an email I received from a colleague of mine. The article was another Pew Research Center poll of religiosity among the states of the union, which my home state tied for last. A link to that is embedded in the Pew Research Center logo below. In the end, we are in a bad way. It’s been a while since I have reflected on the state of affairs in the Church, government, and American society as a whole. After Easter 2016, I will be able to dedicate more time to this blog/website. I’m looking forward to posting more. Although there are people who read my posts, I am also filled by the sheer act of writing and reflecting. It is mentally refreshing to put fingers to keyboard (as opposed to pen to pad) when it comes to the state of affairs today. I can’t wait! Until then, may God continue to bless you throughout the Lenten Season! Lord God, who didst inspire thy servants John and Charles Wesley with burning zeal for the sanctification of souls, and didst endow them with eloquence in speech and song: Kindle in thy Church, we beseech thee, such fervor, that those whose faith has cooled may be warmed, and that those who have not known thy Christ may turn to him and be saved; who liveth and reigneth with thee and the Holy Spirit, one God, now and for ever. Amen. – Collect for the Feast of John and Charles Wesley, Lesser Feasts and Fasts 2006. Fathers John and Charles Wesley are interesting to say the least. They are fine examples of priests who strove to grow closer to God and empower others to do the same. 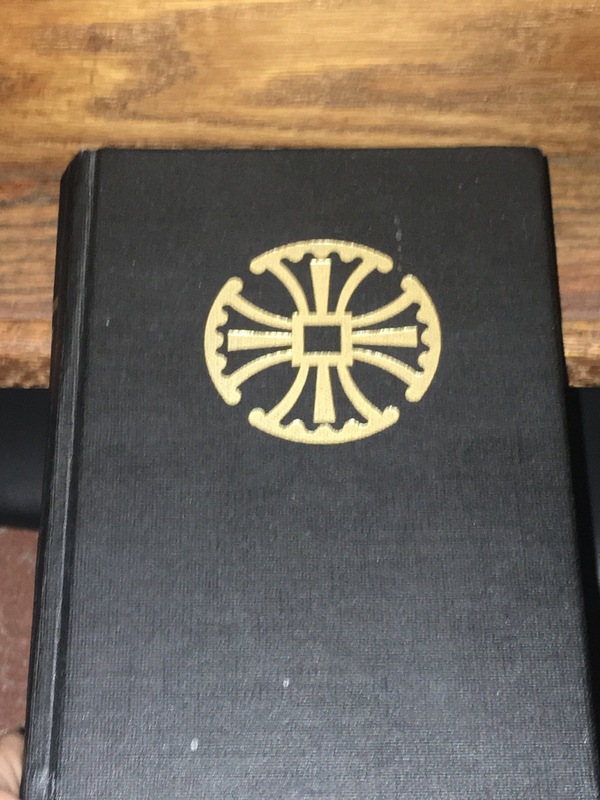 This is made evident by their desire to build a community of believers in the Church of England that adhered to a strict interpretation of the Book of Common Prayer. If the Wesleys were alive today, they would be accused of being “fundamentalists” in the most negative of senses. 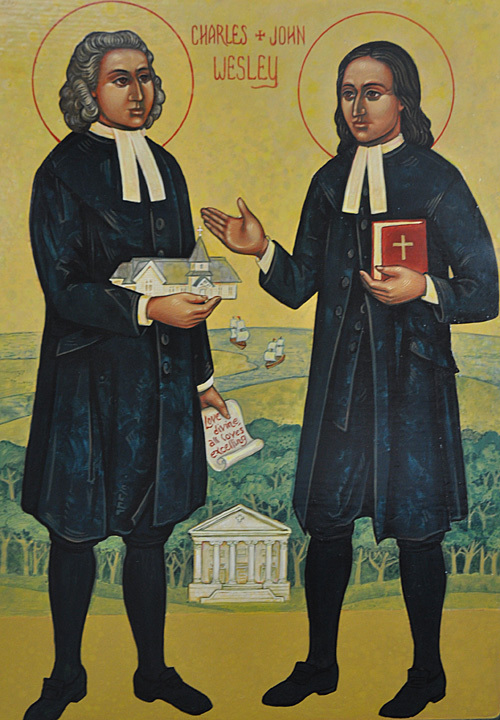 The conflict between the brothers (John’s ordaining of American “elders” against the wishes of Church authorities in England, and his brother Charles) is what ultimately lead to the founding of the Methodist denomination. I’ve often wondered about John’s action, was it just or not? On one hand, he is a representative of the Church of England in the New World. He took the same ordination vows that I would take some 300+ years later: that we would adhere to the instruction of our Bishops. It is clear that John Wesley did not. On the other hand, John Wesley has several communities of believers, those who need pastoral care and support. It is more than he or his brother Charles could handle. If the Church of England were to send more priests to the New World, that would have solved the problem. However, that did not to seem to be the case. The only feasible solution would have been to enlist lay leaders as “elders” to provide pastoral oversight in their absence. I struggle with this story because I understand both the duty to the Church Universal and the duty to the local parish. However, I must admit, that I place a little more stock on the Church Universal than the local church. This may be shocking considering that I come from a Baptist background where local church autonomy is the law of the land. Even then, I agreed with that concept in principal. I believe the needs of the local congregation are important, but they are not important than the authority of the Universal Church. I believe that this is what happening with the church today. We have priests who are succumbing to the pressures of the congregation and are violating the authority, history, tradition and scriptural interpretation of the Universal Church. This violation leads to the extreme liberal and conservative wings of the Church which leaves out a large segment of our society being un-churched. This segment are those, like myself, who don’t view the world in only black and white but rather some shades of grey. There are some issues that are black and white, but there are many that are grey. With that said, I understand the situation in which John Wesley was in. However, I also understand the situation that Charles Wesley was in. In the end the priest must seek guidance from God, his clergy superiors, his colleagues and parishioners that have his and the congregations best interest at heart. Doing this and above all, trusting in God, will he avoid falling to the pressure of one segment of the church that alienates another. I have started an Spreaker page with my sermons posted. This is in an effort to be able to do my part, as a clergyman, to spread the Gospel to all nations! The URL is below. I am also in the process of having this Spreaker page in the ITunes podcast store! Enjoy!